Architectural, building and construction materials and products testing is a special competence of Atlas. Whether providing customized or standard testing products and services, Atlas provides the technology and expertise to offer optimal solutions to the varied needs of the building products industry. Custom outdoor weathering exposures including specialized fixtures, test houses, instrumentation, etc. Atlas’ xenon arc solar simulator laboratory weathering instruments (Ci-Series Weather-Ometers, Xenotest and SUNTEST series) are the global standards for artificial accelerated laboratory testing of building product materials and components. The Ci-Series Weather-Ometers are larger capacity high performance accelerated weathering instruments and meet most global test standards and methods, and provide a variety of options for the weathering researcher. The Xenotest series are lower sample size and volume instruments. The SUNTEST series includes two benchtop instruments and one larger floor standing model, the XXL+. The XXL+ also performs most test standards and with its large horizontal exposure area and chamber height is well suited to larger area samples or those with more three-dimensional shape. Atlas’ solar/environmental chambers are available for custom commercial lab testing of larger test specimens. Fluorescent-condensation test methods are met with Atlas’ UVTest instrument. These are based on international test standards and use special fluorescent sunlamps that simulate the lower portion of terrestrial solar UV radiation, alternating with periods of moisture condensation. Corrosion salt spray (fog) or humidity testing to common steady-state and cycling (wet/dry) test, as well as alternating with Xenon or UVTest instruments, can be performed in our USA commercial laboratory. 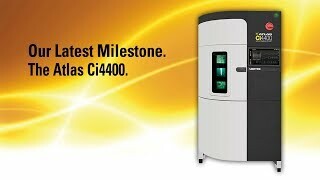 Atlas offers three lines of corrosion test chambers, the basic SF Series for common steady-state tests, and the BCX and CCX models to meet most international steady-state, basic cyclic or advanced cyclic corrosion test methods, and come in a wide variety of sizes and options. Outdoor static exposure testing of building materials is typically conducted at Atlas’ two main USA test sites. The South Florida Test Service site in South Florida (Miami) is a severe subtropical climate which is very aggressive for building products due to the strong solar radiation, warm temperatures and high humidity/time of wetness. The DSET Laboratories site near Phoenix, Arizona, is a high desert site with high summer temperatures and large annual temperature variances. It is well suited for testing products sensitive to temperature cycling, such as mounted fenestration products. Custom test fixtures including roof decks and test buildings can be constructed to your requirements for realistic testing scenarios. 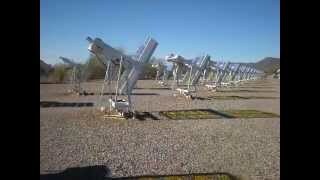 Several specialized solar concentrating outdoor accelerated weathering exposure techniques are available at the Arizona facility for materials testing. These include the EMMA/EMMAQUA, the Ultra-Accelerated UA-EMMA/EMMAQUA, Low Temperature LT-EMMA/EMMAQUA and the research grade UAWS Ultra Accelerated Weathering System. These devices were developed by Atlas and most remain proprietary techniques. Atlas offers coastal marine corrosion exposures at our AWSG Coastal Corrosion Site on Long Key in the Florida Keys and the North Sea Corrosion Test Center in Hoek van Holland, The Netherlands. The North Sea Corrosion Test Centre (NSCTC) is the European reference site for marine corrosion testing and is accredited by the European Coil Coating Association (ECCA). Situated in an industrial zone on the Rotterdam port of the North Sea the combined influence of acid rain, sunlight, marine air and industrial pollution provide a reliable representation of the consequences of these parameters on materials durability.